1. To help define what happens after ‘anti-austerity’. For the Labour party to realise its historic mission of supporting the interests of working people it must advance an anti-austerity politics. But as commentators such as Owen Jones have recently suggested, in order to do so fully it needs to move beyond opposition to specific Conservative policies and towards outlining its own vision of the society that it wishes to put in its place. Inventing the Future puts forth one such image of the future, along with the means by which we might achieve it. It argues decisively for a shift from piecemeal defensive resistance to a full-spectrum politics designed to seize the ground from the forces of the right. 2. To establish a modern left politics outside the coordinates of ‘Old Labour’ and ‘New Labour’ alike. 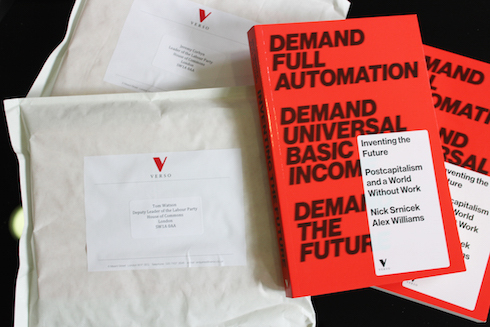 Our technological environment is fast changing, and new trends towards the automation of work threaten to drastically change the UK labour market over the next few decades. While this process will take time to unfold, it is important that Labour position itself in light of these trends. The Labour Party should use this as an opportunity to transform its understanding of ‘modernisation’, away from an outdated and obsolete Blairite vision. 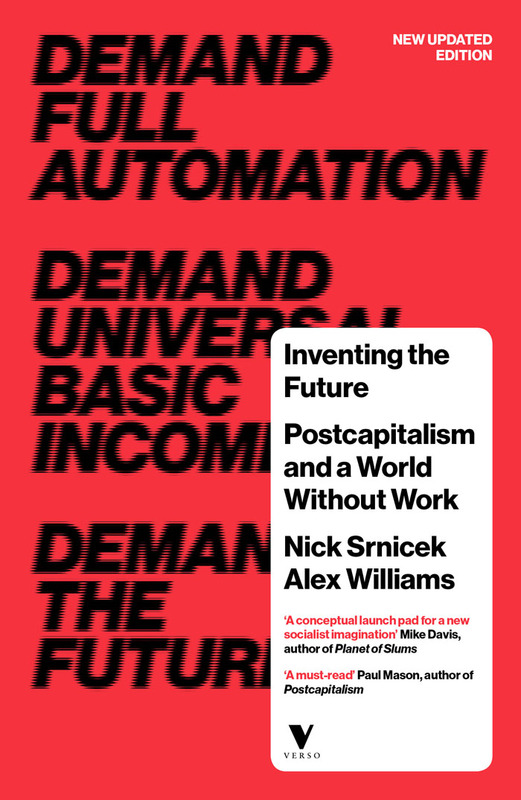 Inventing the Future proposes one such strategy: building a society which embraces the coming technological changes and which constructs the social institutions necessary to liberate us from the drudgeries and stresses of work. Only when Labour can re-establish itself as the party of high tech, socially-inclusive modernity will it be able to challenge the pernicious neo-Thatcherite politics of the present. 3. To re-orientate the party in a new environment of grassroots movements and political pluralism. With the Momentum initiative, Labour has moved decisively towards re-engaging with a social movement agenda that it had largely rejected since the mid-1990s. Yet to embrace social movements and a more pluralist conception of politics will require transforming the way the party operates at an institutional level. Inventing the Future suggests that a future-oriented left needs to shift from centralised control and political tribalism towards embracing a family of progressive organisations, harnessing the particular abilities of different forms of politics to push towards a broader social change.